Tashkent, 11 August 2016 – International Youth Day is celebrated in Tashkent with sport event at the National Water Sports Development Centre in Tashkent city. Tashkent, 11 August 2016 – International Youth Day is celebrated in Tashkent with sport event at the National Water Sports Development Centre in Tashkent city. Women’s Committee of Uzbekistan and United Nations Population Fund, UNFPA joined hands in organizing the celebration of this annual event. The theme of the 2016 International Youth Day is “The Road to 2030: Eradicating Poverty and Achieving Sustainable Consumption and Production”. This year’s Day is about achieving the 2030 Agenda for Sustainable Development and Sustainable Development Goals recently adopted by the international community. It focuses on the leading role of young people in ensuring poverty eradication and achieving sustainable development through sustainable consumption and production. Sustainable consumption entails the use of products and services that meet the basic needs of communities while safeguarding the needs of future generations. International Youth Day is marked annually on 12 August. This observance, celebrated by thousands of young people, activists, and youth organizations wworldwide, brings public attention to important issues related to youth, in particular the need for better addressing youth concerns in international development efforts. 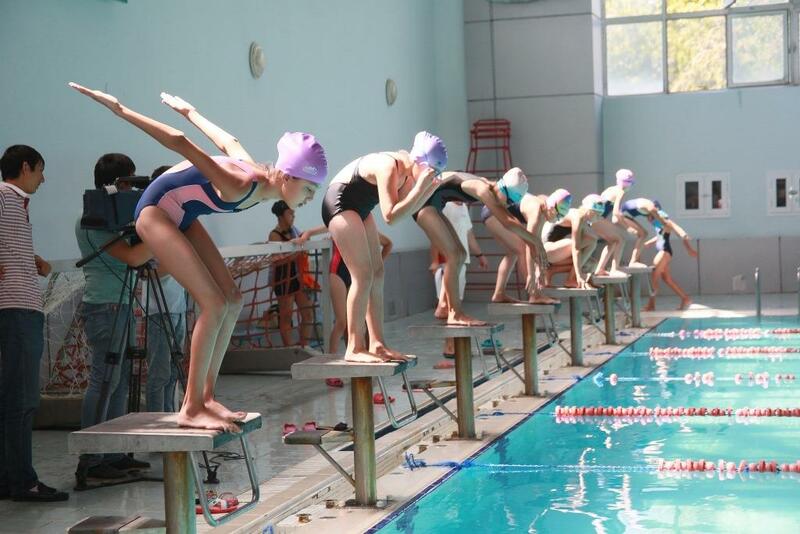 As part of the celebration of the International Youth Day in Tashkent swimming competition among the adolescent girls of 11-14 years, followed by a synchronized swimming performance, as well as choreography and performances of creative groups, were organized. One of the exciting moments of the event was the awarding ceremony of winners of swimming competitions among more than 100 participants. The event is to promote healthy lifestyles among young people. Promoting access of young people to sports, education, healthcare, including reproductive health and family planning services – is a key to sustainable development of the population and future generation. «UNFPA is proud to partner with young people in more than 150 countries and territories around the world to promote their participation and leadership, enabling them to overcome barriers, spearhead innovations and unleash their full potential» - marked Dr. Babatunde Osotimehin, Under Secretary-General and UNFPA Executive Director, in his Statement for International Youth Day. UNFPA and Women’s Committee have been working together throughout the years, on promoting healthy lifestyle among the young people in Uzbekistan. Both partners share similar visions on strengthening the rights of young people and enhancing their potential to increase their role in society.